Competing in a world where data is being generated and consumed at unimaginable rates, individuals and organizations need to be data literate. Yet, in a recent Qlik study (1), only 17% of those surveyed felt they were. Are you part of the 17% data literate…or the 83% who are data illiterate? Are you and your company set up to compete or will you fall to defeat in today’s analytics economy? 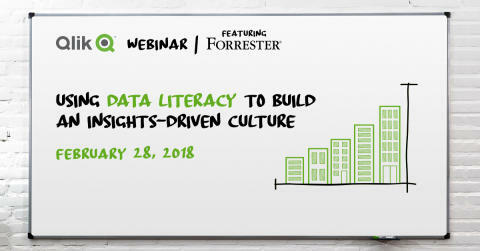 Tahola invites you to join the Qlik webinar featuring Forrester: Using Data Literacy to Build an Insights-Driven Culture on February 28 presented by Jennifer Belissent, Forrester Principal Analyst, and Qlik’s Jordan Morrow, Head of Data Literacy. Becoming data literate is no longer an option in today’s data-driven world — it’s a must. Join us to learn how to promote data literacy and an insights-driven culture in your organization.